We started with the Liefmans Frambozenbier. Big fan of beautiful bottles so although not my favourite definitely like looking at it. Took out the 3 glasses, There was lots of excitement with the packaging and them we poured it.... Reddish Brown liquid, thick in consistency with a slight carbonation. This kinda reminded me of the liqueur Creme de Mures in colour and nose- stewed raspberry jam with a slight maltiness. The palate was really interesting, sourdough & sherbety with hints of cola and a ginger spiciness. There is a serious sweetness to this but cut with a lovely citrusy finish. 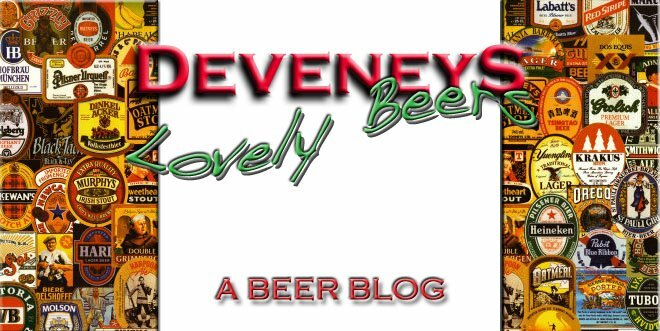 At 5%, the alcohol is really well camouflaged and it's almost like drinking a flavour from Soda Stream...... Louise loved it, Clare was a little disappointed and I thought it was unusual but definitely worth trying again- surprisingly!! 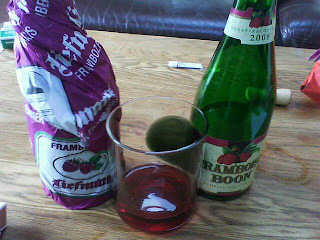 The Framboise Boon was a definite in the Summer beer stakes. This is totally what I'd expect from a raspberry Lambic even down to the colour- Really bright pink, the nose was freshly picked raspberries and the palate had very little sugar and crushed fresh raspberry and citrus fruit with a traditional sour Lambic finish. Although it's not 'a 6pk please' it's possibly the nicest fruit Beer I've tried pushing Chapeau Kriek off the number one spot. As fickle as always, I have a new favourite!!! Got myself into town and had a few Caipirinhas in Solas just to celebrate the good weather and the even better find from the Belgians..... Good job!! !